Welcome to our tutorial for Image Dream! In this tutorial I will describe some of the processes involved in restoring a badly damaged photograph which has been torn and creased. You see a badly damaged photo which has been torn and creased. Cut off the tattered edges by moving the horizontal and vertical scissors. After the preparation we should have clean edges. 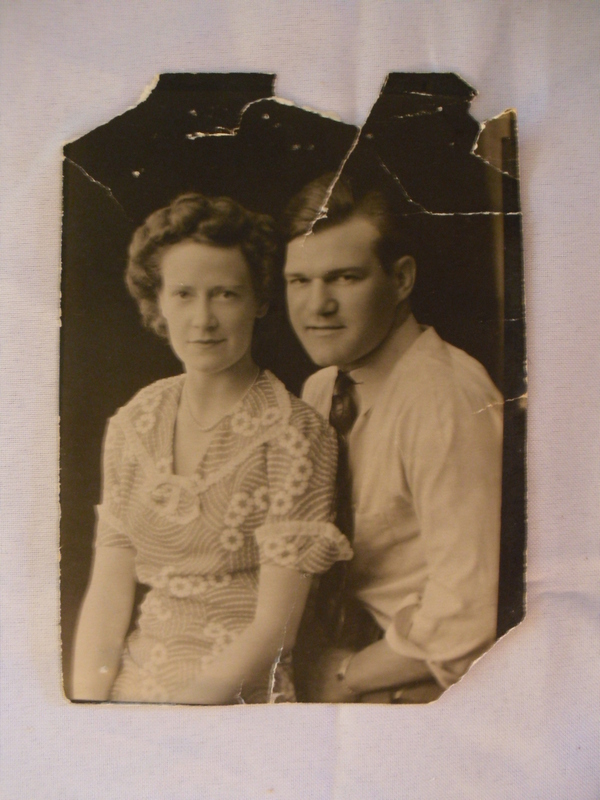 Never think of throwing away a photo with this much damage, it can be repaired even with severely torn and worn photos such as this. To repair the scratches we need the heal tool, so press the desired button. Click on the left drawer for using the painting tools. Select the smallest brush to heal the scratches. First we repair the big scratch at the head by dabbing on it. Don't make strokes only dab. click by click. After repairing the head, we now fix the crack above. Next we overpaint the fold line on the right. We repair the smaller line at the right corner. Step by step or click by click we remove one scratch after the other. Now we zoom out to get an overview if we remove all damages. We fix the last failures. Finally we will make the picture a little bit sharper. Select the big flat brush for the next steps. We dab a little bit sharpness onto the faces. Now bring sharpness onto the clothes. Looks nice but now we see some new scratches which must be removed.